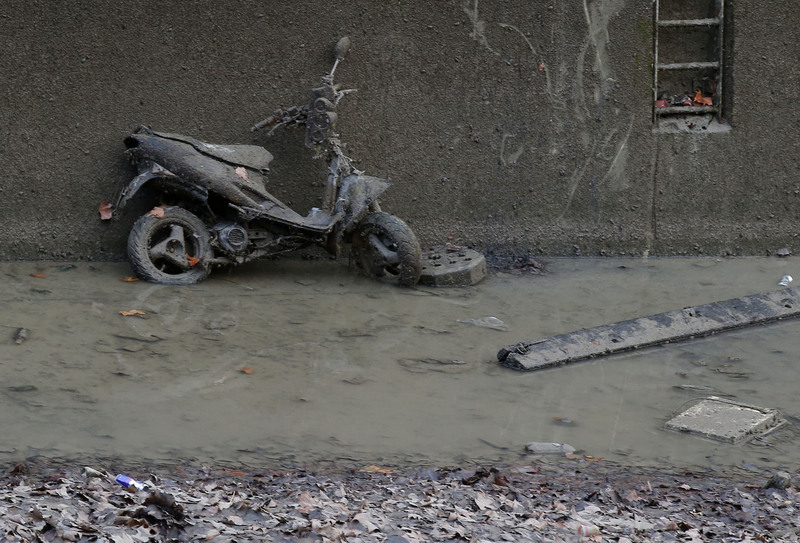 The famed Canal Saint-Martin in Paris was drained for the first time in 15 years, and workers cleaning it found an array of objects—including a motorcycle and a fire extinguisher. “The full inventory is yet to be done – the fish have been evacuated and tractors will be brought in to drag away the vast number of items at the bottom,” reported the Guardian. Previous operations have turned up two shells from World War I, multiple safes, and 56 cars. The canal was originally commissioned by Napoleon in 1804 to provide the capital with goods and fresh water, reported France24. The site in recent years has become a favorite spot of Paris’s “Bobos,” or wealthy leftwingers who gather for drinks on its banks. There were lots of mud-caked wine-bottles and cans turning up in the cleaning. 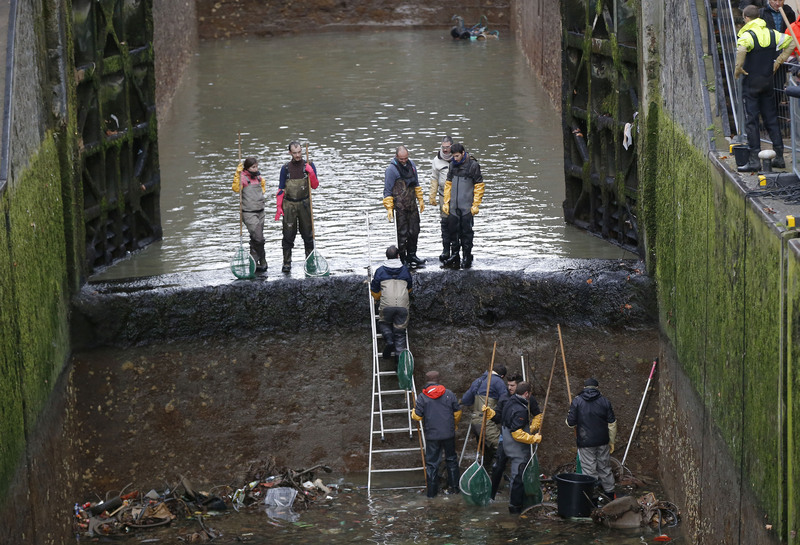 The deputy mayor in charge of the environment, Celia Blauel, urged citizens not to throw things into the canal after the makeover is finished—dangling a potential reward. 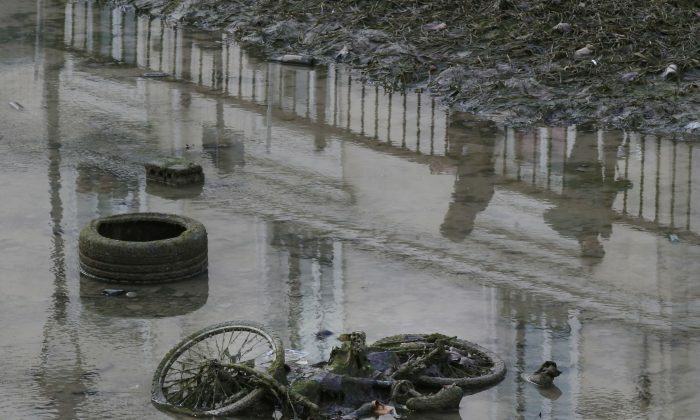 “‘If everyone mucks in and avoids throwing anything in the water, we might be able to swim in the canal in a few years, as in numerous other European cities,” she told Le Parisien. She said the city plans on making the Villette basin upstream of the canal fit for swimming. Merci aux agents de Paris qui nettoient cette semaine le Canal Saint-Martin. Le Canal, on l’aime, on le respecte ! La propreté doit être l’affaire de tous. After the three-mile stretch of water was emptied, crews came in to clean out the rubbish. The 9.5 million euro operation will keep the water at 50 centimeters (1.6 feet) for three months as cleaning continues. 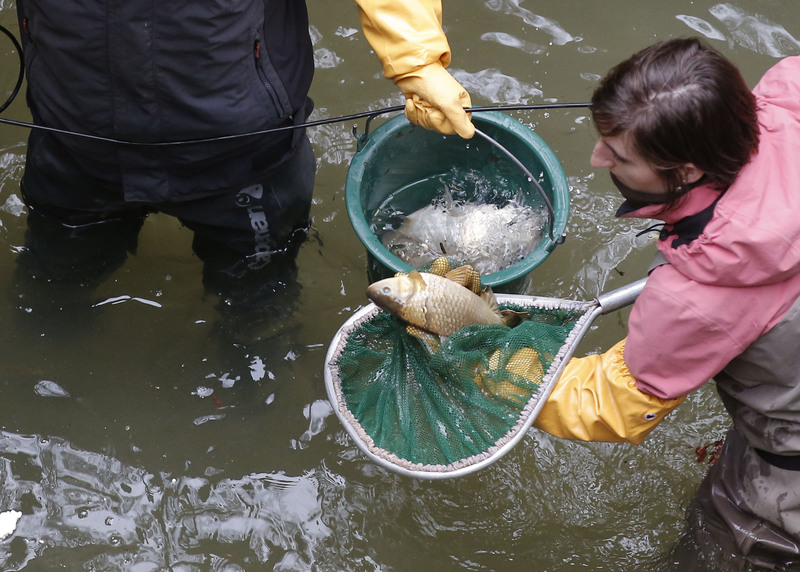 The operation started with the team fishing out the 4.5 tons of trout, carp, and bream that have made their home in the canal. Then, the clean-up started. 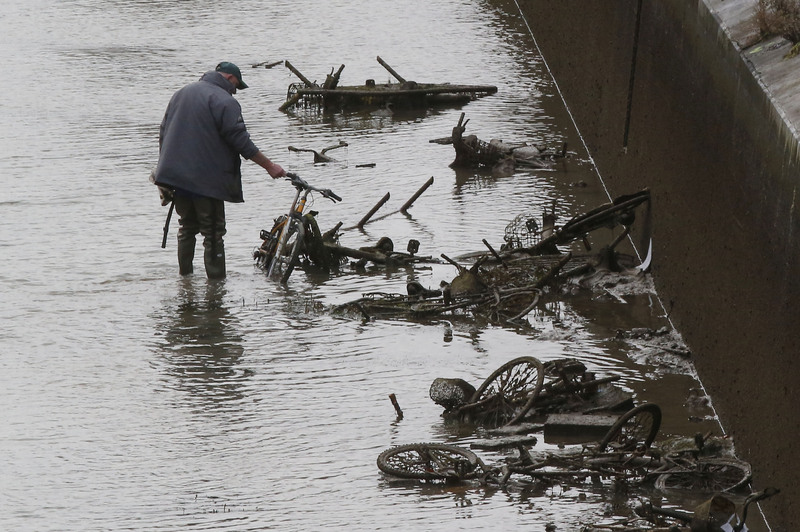 “Thanks to the workers of Paris that cleaned the canal Saint-Martin,” said Mayor Anne Hidalgo via Facebook.